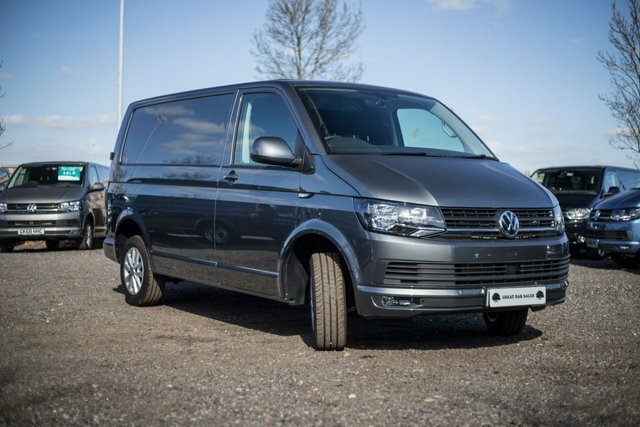 This Short wheelbase wheelbase Transporter has one owner and is in excellent condition. It comes in Metallic Indium Grey with Barn Doors. This van is a Highline with extras: Sat Nav (Discovery Media Unit), Electric Folding Mirrors, Soft Close to side door. Any questions? Give us a call: 01932 765909.